I found this boat next to mine - it is a new arrival. Ah, back in the days where having actual windows on the cabin of an express cruiser was a good thing. 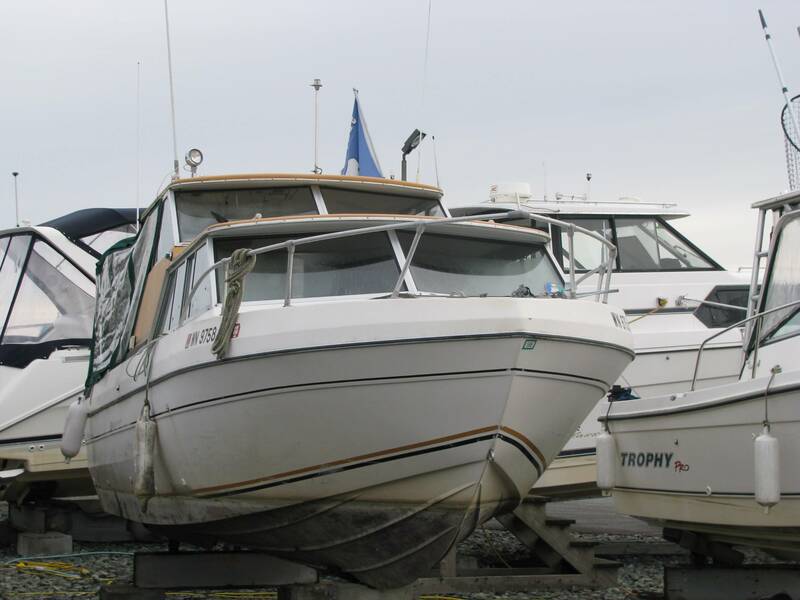 For what its worth, the lower hull is identical to my 1977 Victoria 2750. They used the same mold. That should give us a clue as to the approximate year. Looks like the grandfather to the 2859/289. I've seen one of these on Lake of the Woods. That's a 1978 Nisqually Express 2350. 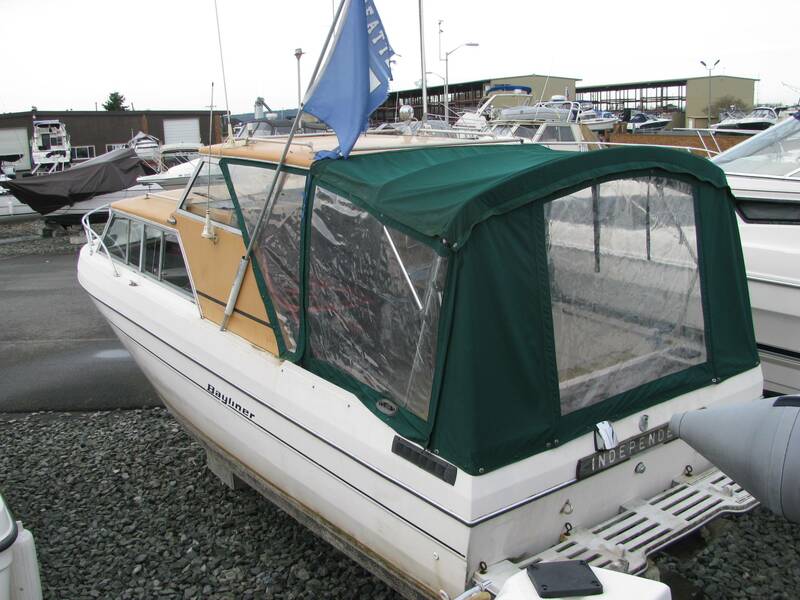 Hah - I had the 74 express version of that boat.......bought her back in '76. 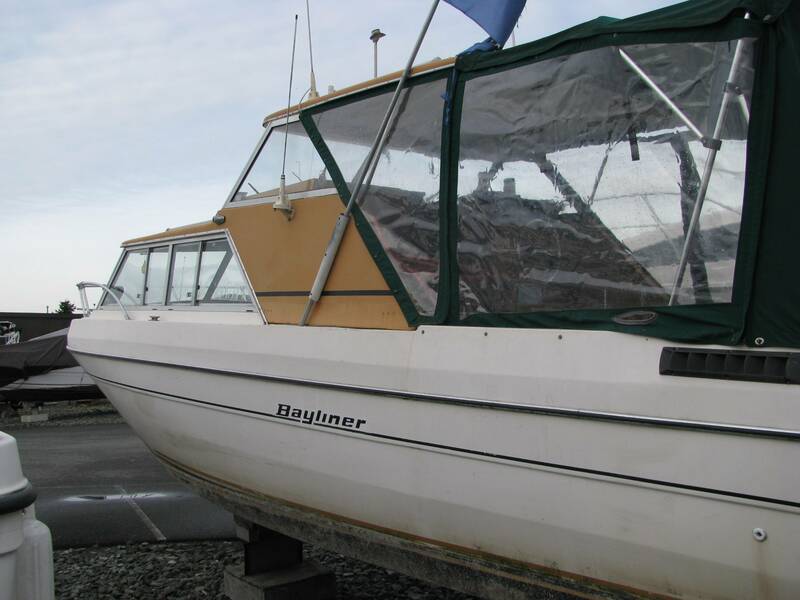 She was my first.......Bayliner. She had a 6 cylinder volvo, with 3 carbs! My earliest memories were seeing the American flag on the back quarter. I thought it was pretty cool. It made them stand out from the other brands.